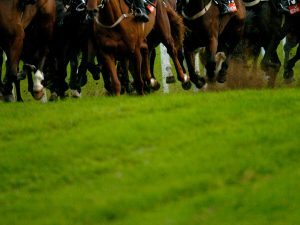 Tiger roll wins 2019 grand national | Check out VGTips.co.uk! He’s done it again! We’ve done it again! By we, I mean members of VG Tips. I’ve tipped, and we’ve backed, the winner of the Grand National for the FOURTH consecutive year. That takes some doing. The 40 runner race is the most competitive steeplechase in the world. So tipping the winner one year is a job well done. Tipping the winner in 2016 (50/1), 2017 (40/1), 2018 (12/1) and 2019 (9/2) is little short of miraculous, if I say so myself. Tiger Roll was a class apart on the day and he becomes the first horse to win consecutive Grand Nationals at Aintree since Red Rum in 1974. As for me, I shall be attempting to make 2020 the year I find my fifth consecutive winner of the Grand National. Next up for all my lovely and loyal members of VG Tips is the Scottish Grand National at Ayr. Thereafter, it’s quality flat racing from May to September. You too can join VG Tips by clicking on this link.